My 12-year-old son is too young to be clamoring for a cup of morning joe, but for several months now he has refused to take the day’s first sip of apple juice until he’s dashed up the driveway and returned with our copy of the Los Angeles Times. He likes scouring the weather page to find out which U.S. cities posted the most extreme temperatures the previous day. My husband grabs the front page, while I reach for the California section (after my son relinquishes it). I methodically fold the paper to fit onto a metal reading stand, a flea market find that is both vintage and ergonomic, and away I go with a ritual as deeply ingrained as brushing my teeth. I grew up with the morning L.A. Times and the afternoon Herald-Examiner, and since I moved out of my parents’ home 25 years ago, my own Times subscription has never lapsed. I don’t need to tell you that home-delivery subscribers like me are an endangered species, with so many more people reading headlines for free on social media. What worries me is the long- term impact of that trend. Without subsidizing legitimate reporting operations, there would be no news feeds, and we’d face getting more of the kind of fake news that influenced the recent election. Not to get too preachy, but listen up: It’s our civic duty to subscribe to our local newspapers, be it a broadsheet or a digital edition. They offer insights we can’t get in 140 characters. My morning papers (I also subscribe to The New York Times) provide in-depth reporting from corners of the world too often ignored. They take on corporate fraud and corrupt politicians, not with viral one-liners but with investigative journalism that is costly and, in a democracy, necessary. On its finest mornings the L.A. Times can still fulfill this mission. But years of tumultuous ownership by Chicago’s Tribune Co. have taken a toll on the paper’s ranks and resources. From 1995 to 2000, I was an editor at the paper’s Sunday magazine. In 1999, the Times’s publisher admitted that she had entered into a secret profit-sharing agreement with the owners of Staples Center for an edition of the magazine about the venue’s opening. That debacle and Tribune’s acquisition of the Times in 2000 (which seemed sure to bring consolidation and cuts) influenced my decision to leave. My husband—the guy who reaches for the front page each morning—also wrote for the Sunday magazine (we met at the LA Weekly, where I worked before the Times). He has written profiles of power players and L.A. institutions for this magazine and others for many years. About eight months ago he began reporting on the state of the newsroom at the Times. As you’ll read in this issue, it’s worse than need be, even given the decline of dailies everywhere. That’s especially troubling at the start of Donald Trump’s presidency, when the paper’s ability to publish news without compromise or constraint is more crucial than ever. 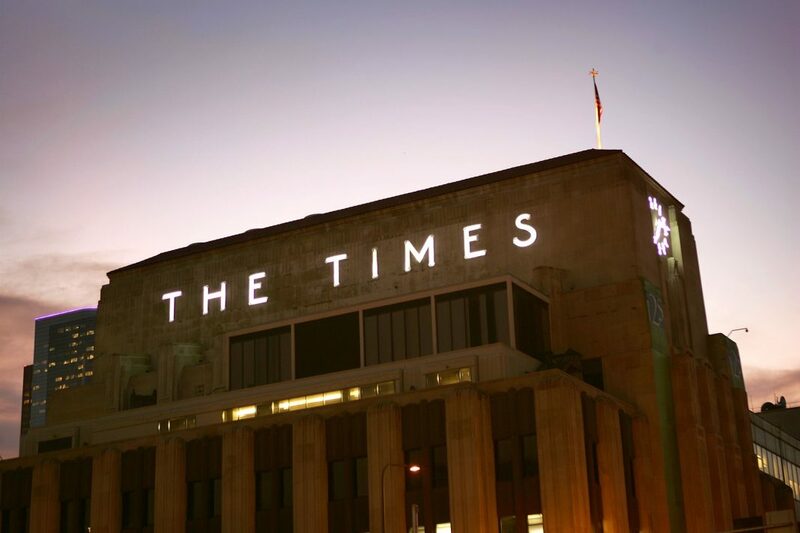 The L.A. Times needs support at the top to fulfill that duty—and subscription orders from readers, too. Read “What’s the Matter with the L.A. Times” here. Previous articleWhat’s the Matter with the L.A. Times?